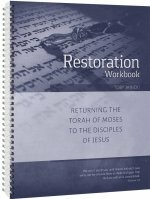 The new Restoration Workbook, based on the new tenth anniversary edition of Restoration: Returning the Torah to the Disciples of Jesus, contains eighteen chapters that correspond to the chapters in the book written by D. Thomas Lancaster. 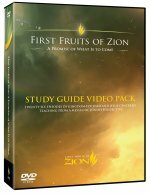 Each chapter contains an introduction and questions to help the reader explore the concepts and ideas presented in the book in more detail. The reader will be challenged to remember each chapter's contents and reiterate the information in his or her own words. 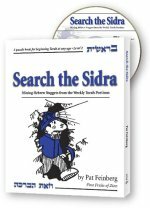 Learn Hebrew straight from the Bible week-by-week and in step with weekly Torah portions. 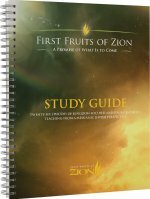 By the end of a year, you can know all 54 names of the weekly portions, what they mean, and highlights of that section of Scripture. The sequel to Jot & Tittle. 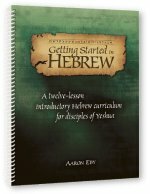 Continue learning Hebrew straight from the pages of Torah, week-by-week, through 54 landmark verses. 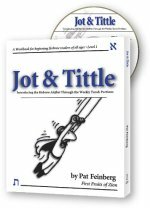 Can also be used with Jot & Tittle for multilevel classes as you read, write, and puzzle over the Hebrew language to sharpen your learning. By year's end, you can cut right into the meat of the Word!